The team was small in 2012, when Dorie Klissas took over as VP of marketing and comms at the Mount Sinai Medical Center. Her direct reports included one director of marketing (who had three employees), three internal communications people, and eight media relations executives. That group was responsible for two major hospitals in New York, including one in the Upper East Side and a medical school, the Icahn School of Medicine at Mount Sinai. The Mount Sinai Health System, as it’s now called, was about to undergo a massive growth spurt and would end up acquiring five more hospitals and building a network of more than 300 ambulatory care centers. But even before the growth, when former CBS and NBC producer Klissas started, there was a feeling Mount Sinai should have loomed larger in national media, given its size and location. "Its feature stories were dropping, its total media hits were dropping, and it needed someone to produce those feature pieces," she says. "That was my niche and the need I filled when I came." Despite Mount Sinai’s upward trajectory, the comms department was simply not getting the word out. Even though the organization had great stories to tell, it was in a purely reactive mode. "Whoever yelled the most would get a press release," Klissas explains. "But you have to see the whole picture so it becomes proactive." Having a niche or a beat has been how I’ve organically created my career. If you’re very knowledgeable about an area, you can do a lot more. She quickly got to work, reorganizing the communications functions using her network news experience as a template. Klissas structured the department like a newsroom and filled it with media reps who behaved like enterprise reporters. Instead of simply reacting, her people were expected to find and help promote strong, proactive feature stories about Mount Sinai. The health system is currently making some strategic executive moves, Klissas notes. In early November, Mount Sinai brought on David Feinberg as SVP and chief marcomms officer. Klissas reports to Feinberg in her role as VP of marcomms, and to Dennis Charney, dean of the Icahn School of Medicine, in her role as chief marcomms officer at the medical school. But no matter how her business card reads, she will remain in charge of day-to-day comms efforts, reinforcing the template she’s used to garner strong results. Klissas says, when compared to its competitors in the U.S. News & World Report ranking of healthcare systems, Mount Sinai has received the most media hits in the top 100 U.S. national media outlets every year for the past five years. According to her, in 2011, Mount Sinai had 14,354 total media hits. By 2012, that number had grown to 37,939, and last year it soared to 96,292. In terms of social mentions, the system is also ranked first among its U.S. News & World Report regional peers and fourth among its national competitors. Klissas credits that success to the newsroom approach. "I created a niche and a beat [for my employees] at the hospital, which is very unusual," she explains. "We became reporters with beats who were going out like print reporters into the field, then being subject matter experts." Klissas learned the importance of specialization while working in TV news, where she managed to create a beat focusing on her passions: science and health. After working for CBS’ Olympics team from 1990 to 1994, she landed a job as a producer on Today. Shortly after she started, the show’s medical producer left and the husband of host Katie Couric got sick. "[Couric] was very interested in medical subjects because her husband was ill with colorectal cancer," Klissas says. "I joined forces with her to produce special medical stories." Among her work at the time was a five-part series on spinal cord injuries inspired by Christopher Reeve and a 10-part series on autism. Klissas notes that, by focusing on a beat instead of covering breaking news, she could cover the topics she cared about. "For 13 years, Katie and I created a niche [producing] medical series. I would get the topic, research it, shoot around the country, come back, and she would voice it or do the interviews," she explains. "And that was so fulfilling because it was a public service and the end result was educating people on science." Klissas got her start in media from an unlikely source: tennis broadcasting great Bud Collins. She and a friend were on Harvard’s 1981 varsity tennis team, which gave them a connection to Collins that eventually led to her career in network news. Klissas’ friend won a sought-after internship with the broadcaster. When the internship was over, she hooked Klissas up with an interview. "She had him give me a chance at the job," Klissas says. "I interviewed with him and got it." The internship led to Klissas covering sports for network TV. "He helped me get my first job as a production assistant at Wimbledon," she recalls. "And after that I ended up doing several events with NBC in Europe because I was studying there for a year after college on a Rotary Foundation scholarship." In addition to the U.S. Open and Wimbledon, Klissas helped cover the French Open, the Seoul 1988 Summer Olympics, and the Barcelona 1992 Summer Olympics. After covering Olympic sports for CBS, Klissas moved to a new role producing science and medical stories for Today. 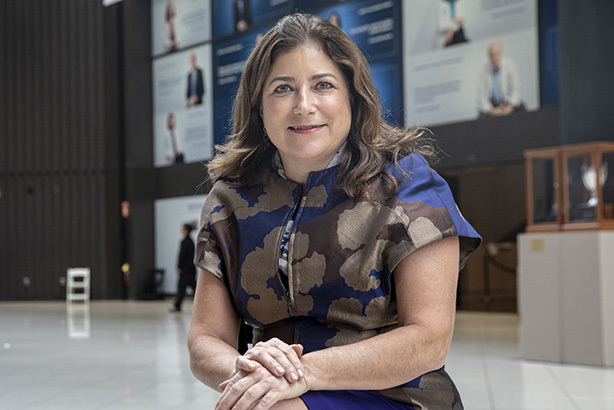 That experience led directly to a career in medical communications and, eventually, to her current position as the head of communications for the Mount Sinai Health System. When Couric moved to CBS, Klissas followed and became chief medical producer for the CBS Evening News. The experience taught her the importance of focusing your efforts. "Having a niche or a beat has been how I’ve organically created my career. If you’re very knowledgeable about an area you can do a lot more," she notes. Klissas says each media rep on her Mount Sinai team is assigned a department or area of expertise they’re responsible for. She relies on the reps’ knowledge to decide if there’s an interesting feature story from the department they work with and where it might be placed. "We sit down together like in a newsroom and figure out which story is number one, two, three, and then program them and decide how to sell them," Klissas explains. "It’s always a constant discussion about how to best share their stories with different media. Is it a Good Morning America story? Is it a Today story? Is it a local story?" While having expertise is invaluable for earned media, Klissas also uses that knowledge to fuel Mount Sinai’s marketing efforts. "When we have an advertising meeting, I make sure the media reps are in the room and I can ask something such as, ‘What are your five best patient stories?’ Then I don’t have to send a marketing person out in the field to gather the same info." Klissas’ time on national TV also taught her the power of video, something she uses extensively at Mount Sinai. "When I came, I started the proactive newsroom and my dream was to do the TV show and hire in-house photographers and videographers. We now have four. We are always talking to the evening news shows," she explains. "And they know we have a videographer on site. So if anyone needs a story shot, we can get a photographer or videographer there to help [the network] producer do an interview." 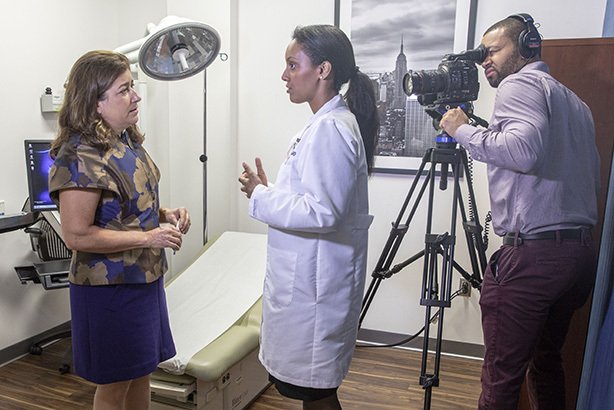 In addition to providing live shots and b-roll, Klissas uses videos in multiple channels, including shooting interviews to create profiles of Mount Sinai’s doctors. 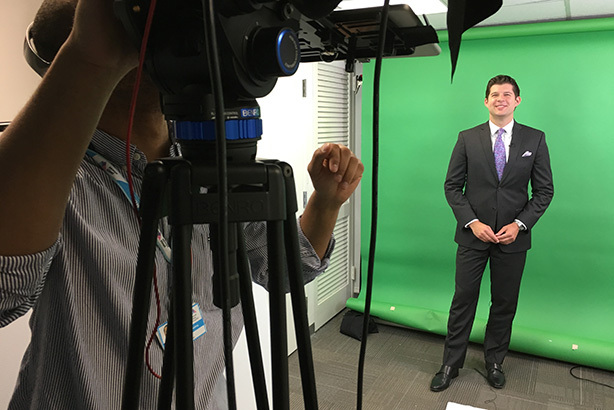 "We shoot videos internally and also have a vendor who we’ve hired to [produce] about eight profile videos a month. At the end of a few years hopefully every person in every department will have their own video on their bio page," she says. According to Klissas, any reluctance on the part of clinicians and doctors to being taped and promoted disappears when they see the results. "We did a test with primary care physicians after we did their videos and inserted them in their bios," she says. "And their appointment rates increased." After videos are shot for bios or video press releases, Klissas also pushes them out on social media. Earlier this year, she launched a regular Mount Sinai TV show on CUNY TV, an educational cable channel run by the City University of New York. But the strong focus on techniques and tactics hasn’t come at the expense of strategy. Klissas’ department directs a significant amount of effort toward supporting the system’s primary mission. "Our mission comes from a tradition of serving everyone," she notes. "Mount Sinai was started to serve people who weren’t being served by other hospitals. We never turn anyone away." Specifically, Klissas’ department has supported Mount Sinai’s social stand in favor of population health. "Population health means changing the way medicine is paid for and changing the financial model in healthcare," she explains. "If you’re sick and have a problem, Mount Sinai gets paid for providing an episode of care. But, eventually, that model will bankrupt us." Mount Sinai’s Icahn School of Medicine has created a population health department that develops and disseminates evidence to guide clinical decision-making and policy surrounding the population health payment model. In 2015, Mount Sinai ran a series of ads promoting population health with the slogan "If our beds are filled, it means we’ve failed." The ads raised a few eyebrows and garnered significant media coverage in health media and even Politico. "We told it like it was and were lauded for doing that," Klissas says. Her next focus will be improving Mount Sinai’s rankings in national media and bringing more attention to the system’s scientific work and research. She also hopes to improve the reputation of the medical school and increase its ranking in the U.S. News & World Report, which is vital in attracting top talent. "I feel our rankings don’t represent how much we do and how innovative we are," she explains. "And students and graduate students look at those rankings when they decide where to go."